SnitchSeeker received exclusive word from USAopoly that the Harry Potter Trivial Pursuit game will be released in the United States this April, while attending this weekend's New York Toy Fair. 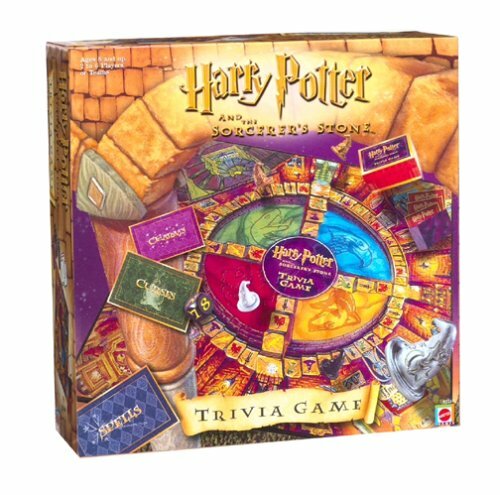 USAopoly revealed to SnitchSeeker that the game, seen below, will be the next of their brand-Trivial Pursuit game collection (previous sets include Doctor Who, Power Rangers and World of Warcraft editions. There are 600 questions in the game specific to the Harry Potter film series. Unfortunately no place of purchase, including online is available yet. The Trivial Pursuit game was released in Europe late last year, but this is the first time an announcement of the U.S. sale was unveiled.SnitchSeeker will have much more from this weekend's Toy Fair, including the Harry Potter Pop! Vinyl Figures line that will be released this July – and fear not, they are just the first in the series, with many more characters to come in the future.